High-Speed Cell Sorting (G. van den Engh). Rare-Event Detection and Sorting of Rare Cells (J. Leary). Applications of High-Speed Sorting of CD34¯+ Hematopoietic Stem Cells (T. Leemhuis & D. Adams). Microfabricated Fluidic Devices for Single-Cell Handling and Analysis (D. Beebe). Single DNA Fragment Detection by Flow Cytometry (R. Habbersett, et al.). Fluorescence Lifetime Imaging: New Microscopy Technologies (W. Yu, et al.). Fluorescence Lifetime Flow Cytometry (J. Steinkamp). Application of Fluorescence Lifetime and Two-Photon Fluorescence Cytometry (D. Weaver, et al.). Probing Deep-Tissue Structures by Two-Photon Fluorescence Microscopy (C.-Y. Dong, et al.). Limits of Confocal Imaging (J. Pawley). Scanning Near-Field Optical Imaging and Spectroscopy in Cell Biology (V. Subramaniam, et al.). White-Light Scanning Digital Microscopy (J. Robinson & B. Gravely). 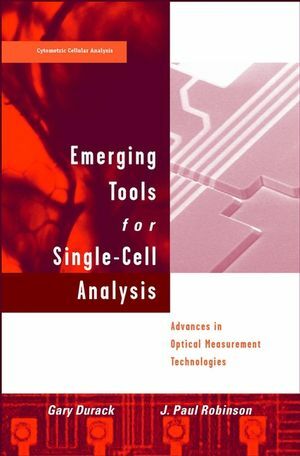 Camera Technologies for Cytometry Applications (K. Castleman).